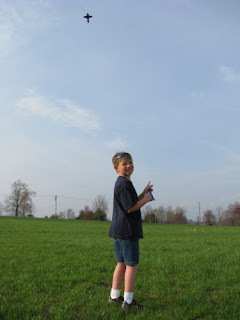 Yesterday was a perfect day for kit flying! 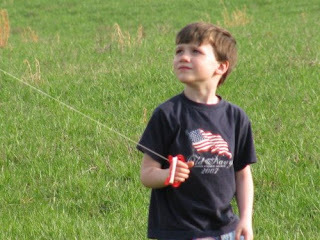 Blake's Cub Scout Pack had their monthly meeting at the lake and it was fun seeing everyone's choice of kite. 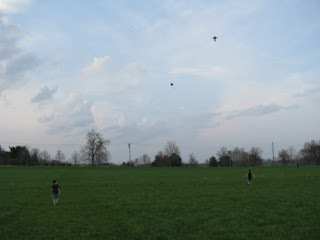 I took the boys to pick out their kites. 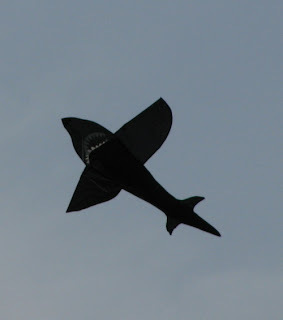 Blake chose a big shark shaped kite. 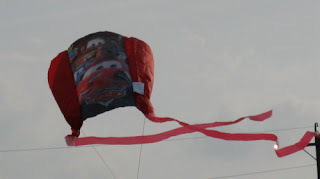 Kevin went for a smaller "Cars" kite that came in a little pouch he could hook on his belt loop (and his was "no assembly required"!). 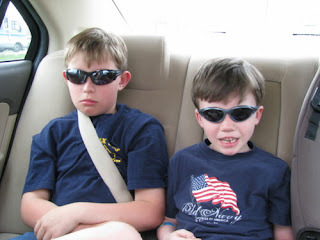 The first picture is the boys showing off their new sunglasses. No, Blake isn't mad - he's trying to look tough!